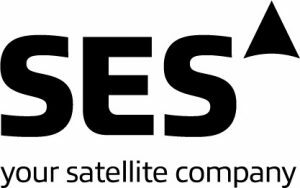 Satellite operator SES is now broadcasting eight commercial Ultra High Definition channels globally via its satellites, it revealed. Announcing financial results for the year ended December 31, 2015, SES said that its video business grew in developed and emerging markets, supported by “SES’s superior growth in HD and being first to add commercial Ultra HD channels”. SES claimed it the first satellite operator to “secure commercial agreements” to broadcast Ultra HD content and that among the UHD channels it now carries, Pearl.tv was Europe’s first commercial UHD channel and Fashion One 4K was the world’s first global UHD channel. The other six UHD channels are Airtel 4K, Dish UHD Promo, High 4K TV, INSIGHT, NASA TV UHD and UHD-1. In July 2015, the satellite operator also signed a commercial agreement to provide Sky Deutschland with additional capacity for Ultra HD broadcasts. SES said that last year it also grew the number HD channels it carries by 18.3% to 2,230 – strengthening its HD penetration from 28.9% to 30.7%. In fast growing emerging markets it added 380 new TV channels, 170 in HD. For the year, SES said that video accounted for 67% of group revenue, compared to 66% in 2014. Total revenue was €2.015 billion, up 5.0% but down 3.2% on a constant currency basis. EBITDA of €1.494 billion was up 4.6% but down 3.6% at constant FX. Profit after tax was up 5.0% to €674.0 million. “SES is investing in new capabilities to serve anchor customers in fast-growing opportunities in global video, as well as next generation enterprise, mobility and government. These important investments, combined with SES’s interest in O3b – which provides unique capabilities for enterprise, mobility and government – are setting the foundations for sustainable growth,” said SES president and CEO, Karim Michel Sabbagh.